(Newser) – Hoping to age gracefully? You might consider tossing some porcini mushrooms in the shopping cart. A new study out of Penn State finds that mushrooms in general contain high levels of antioxidants ergothioneine and glutathione, and some varieties are more potent than others. "What we found is that, without a doubt, mushrooms are [the] highest dietary source of these two antioxidants taken together, and that some types are really packed with both of them," Robert Beelman says in a release. 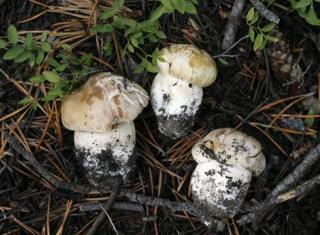 The wild porcini mushroom popular in Italy, for example, had "by far" the highest amounts of any mushroom tested. But though white button mushrooms had the least, they still had more than most other foods, reports Newsweek. Does anyone else think the picture looks like a certain male organ growing out of the ground? I love them on my fasting days and are actually eating some now in a salad that would feed a small village. If you have not learned the health benefits of intermittent fasting, you should. The 5 2 fast is a health game changer.